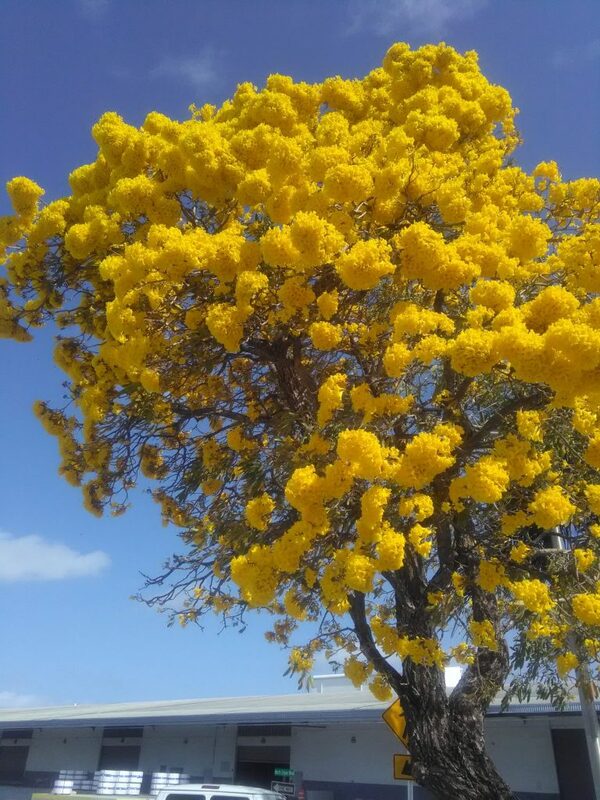 Two very colorful trees are blooming all over South Florida right now. 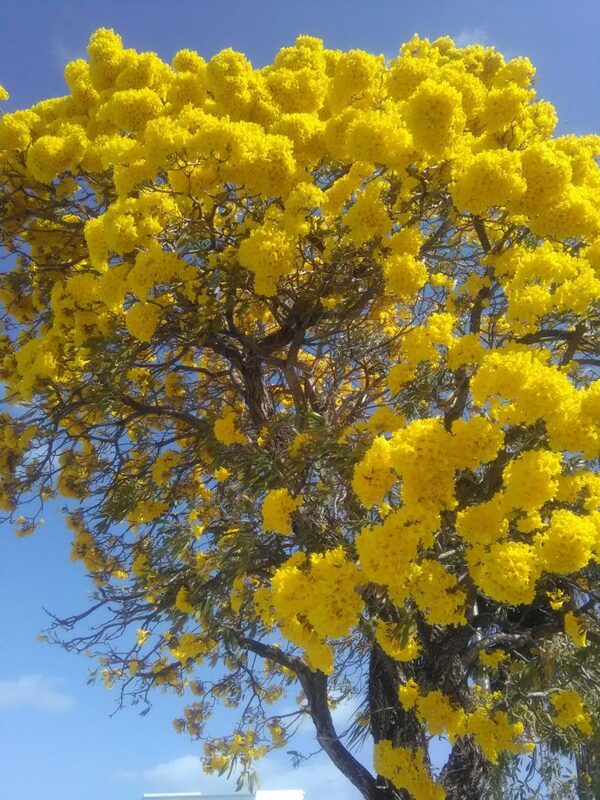 The first is the Silver or Golden Trumpet Tree. 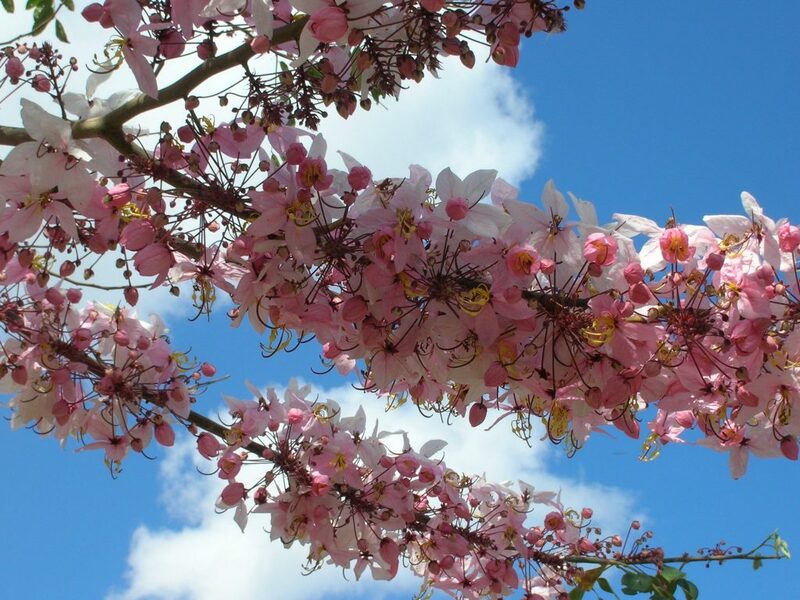 Botanically it is a Tabebuia, but the species seems to change every time I look up. Once argentea, then caraiba, and now it seems like aurea is in vogue. No matter, you can’t miss it with its bright yellow flowers filling the entire canopy before there are many leaves on it. 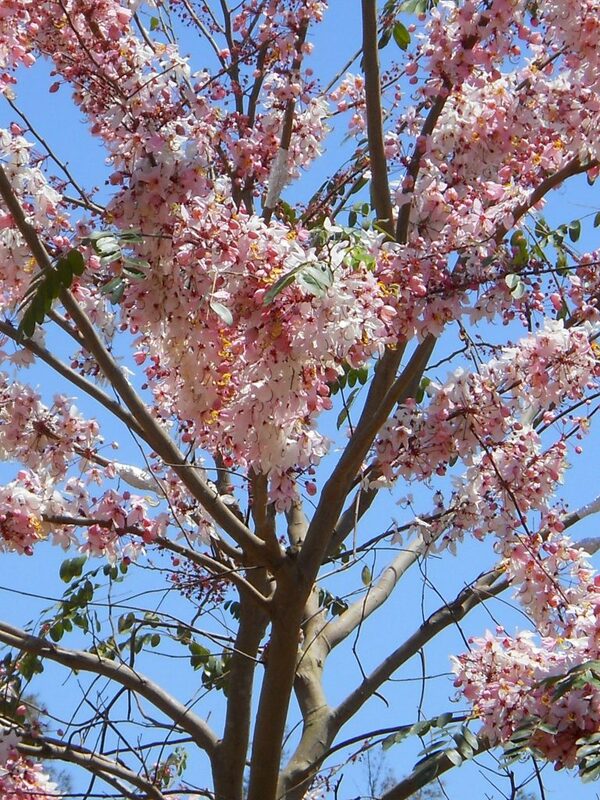 The other tree is the Pink Shower Tree. Actually there are two different species. Cassia bakeriana and Cassia javanica. More than likely, the one everyone is seeing is Cassia bakeriana, as it has bigger and fuller blossoms than the latter. 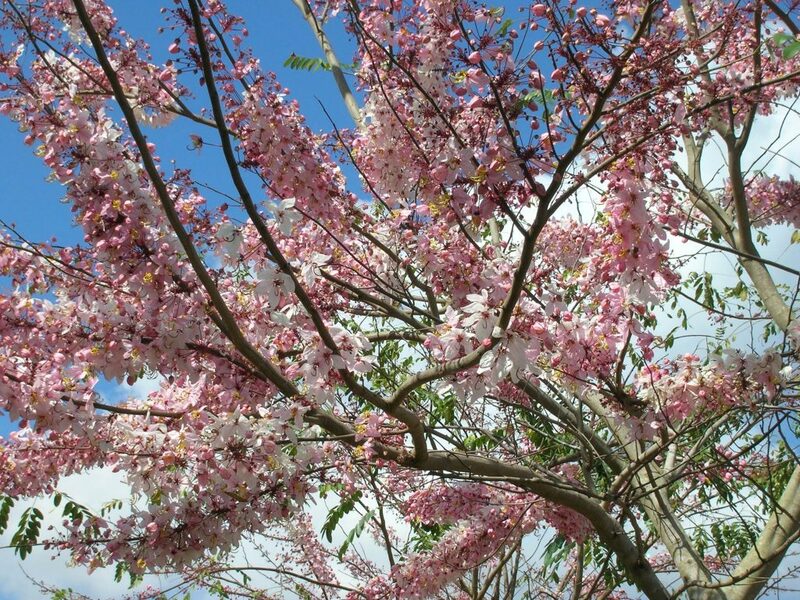 It very much resembles an apple tree in bloom or perhaps a cherry tree if you’ve ever traveled to a northern temperate climate. Richard Lyons Nursery has both of these trees for sale.